A union of Turkish imams has announced that it will organize demonstrations in front of various media organizations across Germany in solidarity with France after the deadly attack at Charlie Hebdo's office in Paris. The Turkish-Islamic Union for Religious Affairs (DİTİB), alongside other immigrant organizations in Germany recently announced that on January 16 it will hold solidarity protests outside publishing houses and TV studios after Friday prayers, with precise times and locations to be announced later this week. “We condemn the act in the strongest possible terms, but at the same time urge people not to be intimidated or become divided,” the organization said in a statement. “The protection of human lives is a fundamental law of Islam,” DİTİB added. Last Wednesday, the office of French satirical magazine Charlie Hebdo was attacked. Twelve people were killed, including Editor-in-Chief Stephane Charbonnier and two policemen, and 20 were wounded in the shooting. On Sunday, a German newspaper the Hamburger Morgenpost announced it had suffered an arson attack overnight. Unidentified perpetrators hurled incendiary devices into the building, where the tabloid newspaper that reprinted Charlie Hebdo cartoons is located. Nobody was hurt in the incident. Charlie Hebdo magazine became a target for attacks after it published a series of controversial Prophet Muhammad cartoons in 2006. 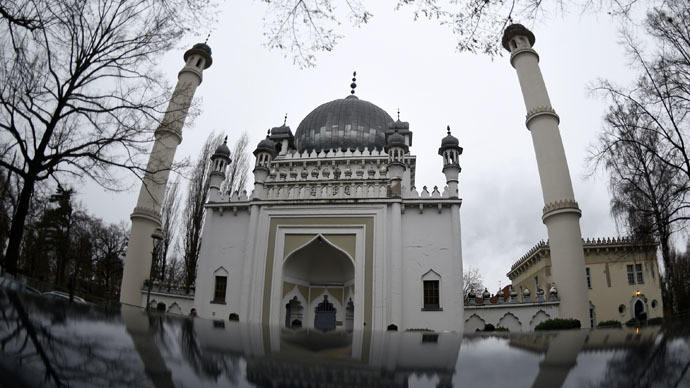 The DİTİB, one of the largest Islamic organizations in Germany, is a federation of 896 Turkish-Islamic mosque associations in the country. It falls within the jurisdiction of Turkey’s Directorate General for Religious Affairs.